Guess Who’s Coming to Breakfast?! Laughs were definitely on the menu when Animal Crackers cast members Mark Bedard, Daisuke Tsuji, Brent Hinkley and Eddie Lopez came for breakfast at OSS. 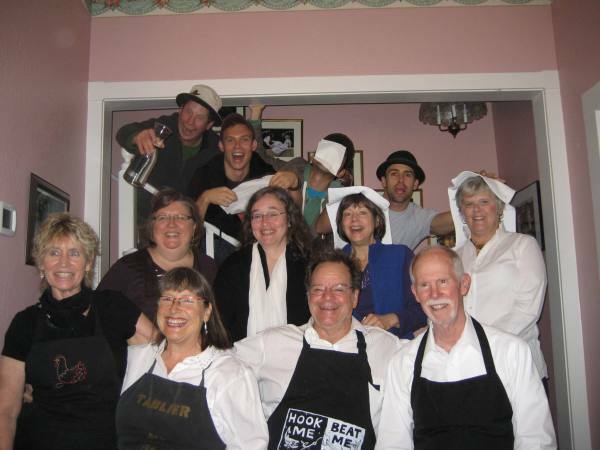 The zany cast was won in a Daedalus Project auction by long-time OSS guests Shirley and Martha. This picture with OSS guests, staff and the actors gives you an idea of what breakfast with Animal Crackers is like!